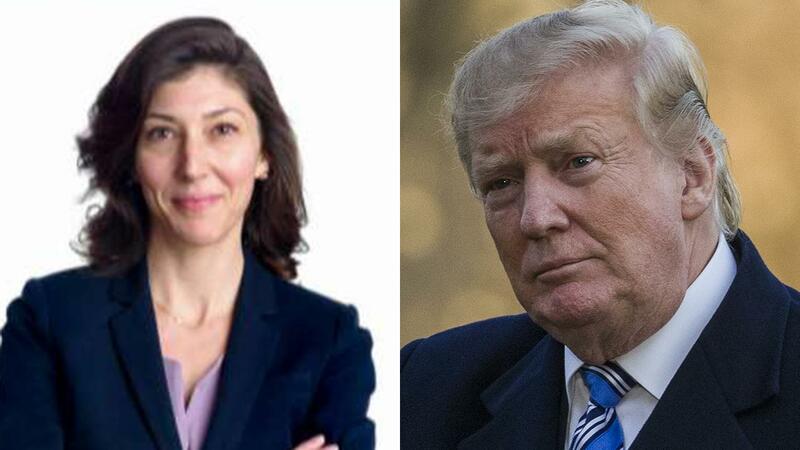 A top FBI official told Congress last year that he feared an affair between Peter Strzok and Lisa Page made them vulnerable to foreign intelligence services. Bill Priestap, the bureau’s assistant director for counterintelligence, testified in June 2018 that he had heard rumors about an extramarital affair between Page and Strzok, who directly reported to him, but was later prompted to confront the couple after receiving a tip. “But after Pete had been reporting to me for a considerable amount of time, somebody brought to my attention that that behavior might be going on. And so that’s when it — I became aware that that was a possibility,” Priestap told lawmakers during closed-door testimony. The transcript of his testimony was released Tuesday by U.S. Rep. Doug Collins, R-Ga., who sits on the House Judiciary Committee. Priestap said he discussed the issue of the affair with then-Deputy Director Andrew McCabe and claimed the person who told him about the extramarital affair was either Sally Moyer, a Justice Department lawyer, or Jonathan Moffa, an FBI counterintelligence officer. “I felt I owed it to them. Lisa did not report to me, but I felt that they ought to be aware of what was being said. I didn’t ask them if it was true, but they needed to know that that impression was out there,” he said.